A new class action lawsuit has been filed in the United States District Court Eastern District of New York on behalf of investors in Nano (XRB, formerly Raiblocks), according to a class action complaint signed April 5. 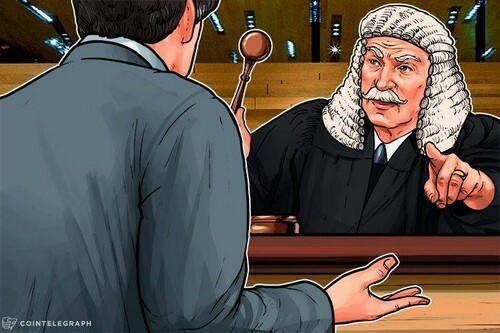 The lawsuit is being filed by an American individual, Alex Brola, through Silver Miller law firm, and alleges that Nano’s core team both violated US securities laws by selling unregistered securities as well as negligently misrepresented the reliability of crypto exchange BitGrail, from which around 17 mln Nano ($187 mln at the time) were stolen in mid-February. Nano then accused Firano of “misleading the Nano Core Team and the community” on their official blog. Although Nano investor Alex Brola is the named plaintiff in the lawsuit, having reportedly bought $50,000 worth of Nano on Dec. 10, 2017, the complaint claims there are “at least hundreds if not thousands of putative Class members” that Silver Miller plans to contact during the discovery period. Silver Miller writes in the class action notice that they are a “strong advocate for aggrieved investors harmed by the misrepresentations and illegal actions of cryptocurrency exchanges and issuers.” The law firm is currently working on class actions against crypto exchanges and services Coinbase, Kraken, BitConnect, Cryptsy, and Initial Coin Offering (ICO) promoters Monkey Capital, Giga Watt, and Tezos. Tezos has been the subject of multiple lawsuits over the question of its compliance with SEC regulations. The Tezos class action lawsuit filed last fall by Silver Miller alleges that Tezos violated securities laws during their ICO, which raised $232 mln, making it the world’s second largest ICO to date in terms of most funds raised.